I Made Turkey Meatballs That Came Out Tasty!!! 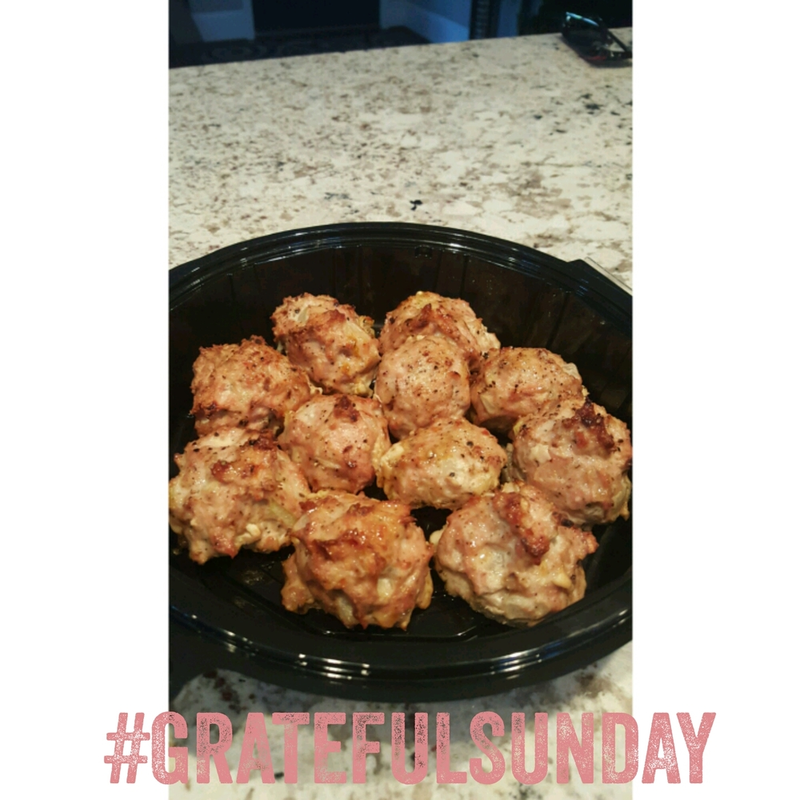 Today I am so grateful for my Turkey Meatballs! They actually came out so good! As you know I am working hard to be a better chef because I am pretty bad! But...I will not give up!!! These came out sooooo good! Here is the recipe I used. I got it from Kenna Shell. (I follow her on instagram). Oh...I forgot the best part...they are healthy too! Spray 13/9 pan with non-stick spray. Mix all ingredients except chicken broth until well combined. Roll Turkey mixture into medium sized balls and place on greased pan. Add 1/2c chicken broth into baking pan so meatballs have a little liquid around them. Bake at 400 degree for 30 minutes or until cooked through.